Made possible by a dedicated community of fundraisers on Indiegogo, the ROK Coffee Grinder is a manual burr coffee grinder that is suitable for all forms of coffee brewing. Made from durable die-cast aluminum, this grinder uses a set of 48mm stainless steel conical burrs to produce grounds on par with more expensive electric grinders. 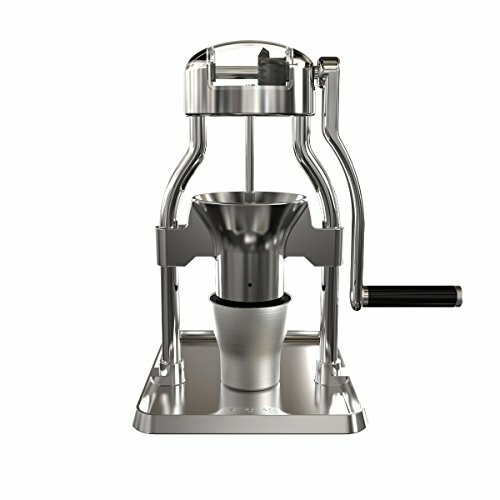 Unlike other manual grinders, the ROK Coffee Grinder grinds beans with minimal effort, require a mere 62 revolutions (30 seconds of grinding time) to produce a double shot of espresso. Longevity of the grinder is ensured by the quality engineering grade components used in its construction. Each grinder ships with an included grounds cup that can be used for measuring beans and catching coffee while grinding.